Location: Directions are provided below. Cost: Free. See Admission fees for information about making a charitable contribution of food or clothing. RSVP: Complete the online reservation form. Advance reservations must be made by Wednesday, 17 September. Our presenters will discuss the single sourcing methodology they developed to create modules (chunks of stand-alone information) and assemble a modularized document in Microsoft Word. The program will help participants assess their needs and begin planning their own single sourcing methodology. There will be time for questions and answers. This session is for technical communicators who understand the benefits of single sourcing and are ready to begin implementing a low-cost single sourcing solution. Jocolyn Weeks is an information designer with a Masters in Business Administration and more than 12 years experience. Currently, Jocolyn is a Project Lead in the Customer Education Product Development department at Freddie Mac. As a project lead she is involved in directing the design and development of education products for both desktop and web-based applications. Jocolyn has been a member of the STC since 1999 and recently presented at the STC 50th Annual conference. She is interested in making technical writing easier and more efficient by finding ways to take advantage of new technology and business process methodologies. Her primary focus has been on evaluating and developing strategies for implementing a single sourcing methodology (Modular Documentation) for Freddie Mac. Starla King is a technical writer with a background in usability, which grew from her Master's Degree in Organizational Learning. As a Customer Education Product Specialist at Freddie Mac, she develops print and online reference and education materials related to a web-based automated underwriting system. She is responsible for reviewing requirements, assessing customer impacts, and keeping all education materials up-to-date. Part of this process has been the development of the Modular Documentation methodology, assisting with the creation, piloting and refinement of the methodology. Starla is a member of STC. A light dinner, with meat and vegetarian options, will be served. Registration is encouraged for this event by Wednesday, 17 September, 2003 at 5 p.m. Because of catering limitations, we are unfortunately unable to provide food to walk-in attendees. To make a reservation, complete the online reservation form. To cancel a registration, contact the Events Committee Manager as soon as possible. 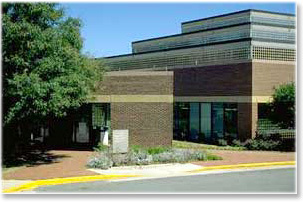 Map and directions to Tysons-Pimmit Library in Falls Church, VA.